The holidays in Atlanta are always filled with music, performances, decorations and lots of Christmas cheer. After living in the city for more than 20 years, my family has developed a few holiday favorites. 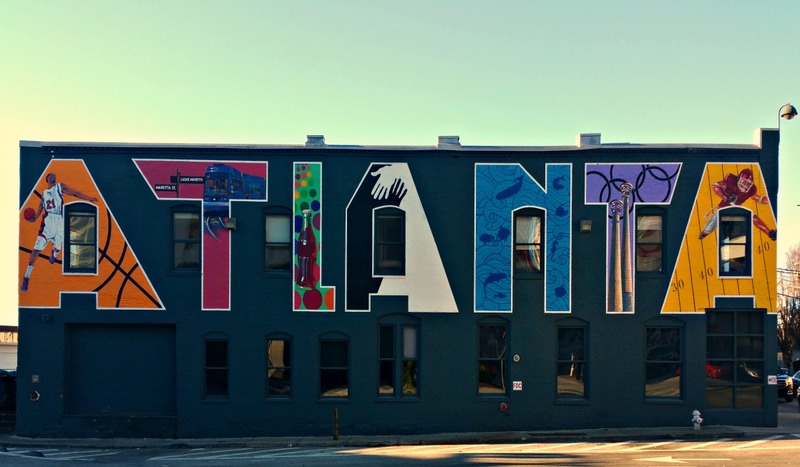 Here are our seven favorite frolics to celebrate the holidays in Atlanta. Christmas in the south may not look like the iconic pictures painted by our favorite carols. Rarely do we see snow (although you can find it and here are 6 places to find snow in the South), there are no sleigh rides, and the only snowmen we have a plastic. But that doesn’t mean we don’t celebrate the season in a big way. In fact, the mild weather in Atlanta makes it more enjoyable to get out and experience the best the season has to offer. Here are our favorites. A fairly new holiday tradition, Holiday Lights, Garden Nights began in 2000 with more than a million energy-efficient LED lights. Each year the Garden adds something new to this wonderland that goes throughout the 20-acre Midtown attraction. In 2016, the Gardens added a Walk of Flames and an expanded Tunnel of Light. One of my favorite sections is the Orchestral Orbs that can change to 14 million different colors that dance to holiday music. I’m always in awe of the 25 ft tall Earth Goddess, which was originally part of the Imaginary Worlds exhibit. During the Atlanta Botanical Gardens lights display, she transforms into an Ice Goddess – a vision of wintry radiance with twinkling lights weaving through her tresses. 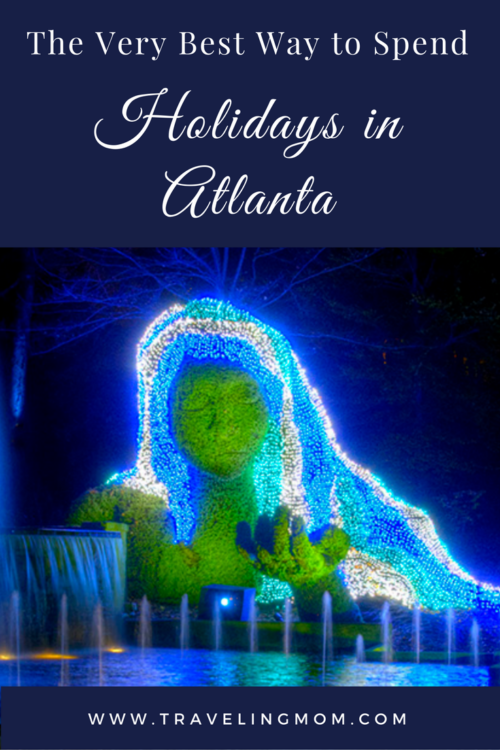 The Botanical Gardens may be my favorite way to celebrate holidays in Atlanta, but there are more than 25 fantastic Atlanta light displays. So many you could make a trip just around seasonal lights. If you aren’t from Atlanta, you might not get this, but I have to include this because it is such a local tradition. It’s not so much that it is a great ride, but it’s an Atlanta tradition and has been since 1953. If you talk to folks that grew up in Atlanta, they’ll regale you with fond memories of getting dressed up. 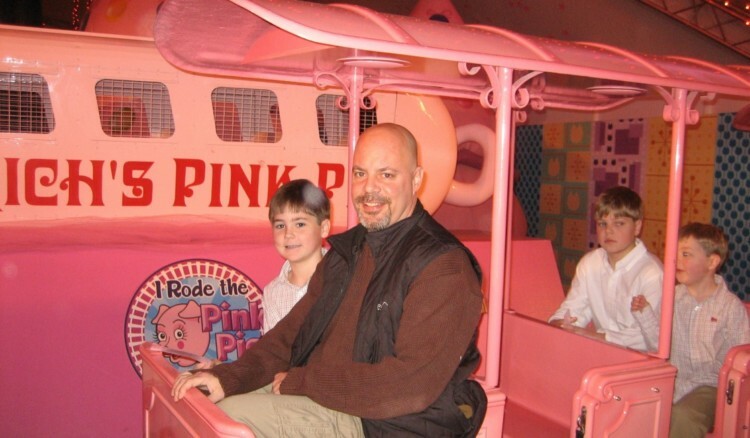 Heading to Rich’s Downtown with their mother to do a little holiday shopping and ride over the toy department on Priscilla (and later Percival) the Pink Pig. Now a new version of Priscilla enthralls a new generation of Atlanta children at the Macy’s at Lenox Mall. If you fondly remember the Rudolph the Red-Nosed Reindeer claymation TV special from the 70’s, then you absolutely MUST see add this production by the Center for Puppetry Arts to your calendar of holidays in Atlanta. Children welcome, but not necessary. Plan to spend a little extra time to do the Create a Puppet workshop, included every show ticket. You’ll also want to check out the new World’s of Puppetry and Jim Henson museum exhibits. As I mentioned, while you may not experience a lot of snow in Atlanta, you can find it. IF you know where to look. One place is at Stone Mountain Park. After enjoying the festive sights, sounds, smells and tastes of a Stone Mountain Christmas, take a break and fly down the snow on a tube at Snow Mountain. Finish off the night with a visit from the Snow Angel who brings a nightly snowstorm after descending from on high (kind of like Tinkerbell). To see what Christmas past was like in the South, step back in time during the Atlanta History Center’s Candlelight Nights. 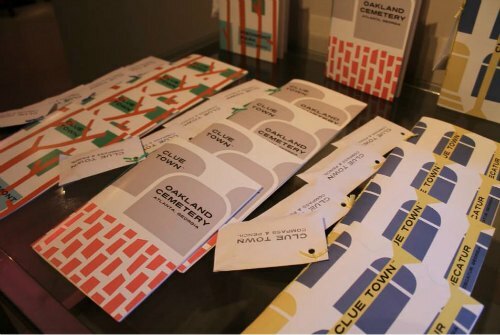 In addition to illuminated walkways, a holiday market and of course, Santa Claus, visitors can tour each of the three historic houses on the property. These tours invite guests to experience how Southerners celebrated Christmas during the Civil War era (Smith Family Farm), the 1930s (Swan House) and pioneer days (Wood Family Cabin). To make sure history comes to live, the AHC has costumed characters. Each house is also decorated with period holiday decorations. In most of the country, kids sit on Santa’s lap. In Atlanta, Santa comes in a scuba suit. 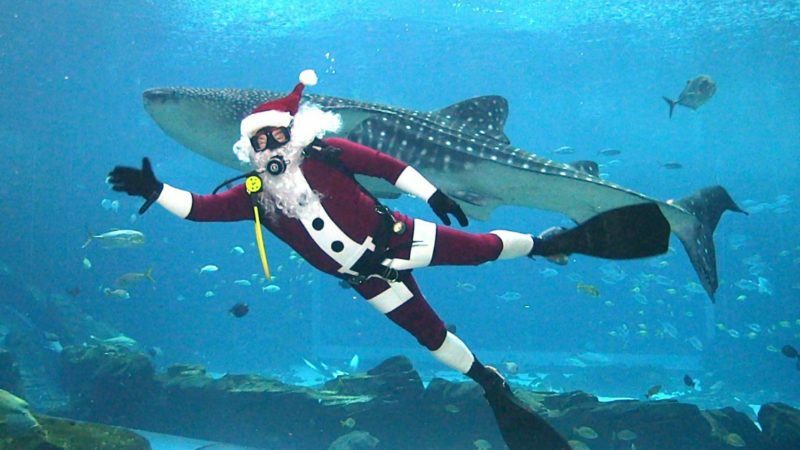 Scuba Claus is part of the Georgia Aquarium‘s ‘Festival of the SEAson.’ This month-long celebration of the holidays in Atlanta transforms the Aquarium’s galleries and exhibits into a winter wonderland. Festivities begin in late November with Wake Up Santa where kids can help the Elves wake Santa from his slumber with snowballs! 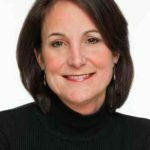 Other activities include the holiday tree lighting, Holidazzle light and music, a symphony of snow and an underwater Menorah. You can find several versions of the Nutcracker in Atlanta. The Atlanta Ballet performs the classic tale at the beautiful Fox Theatre in Midtown. But for something a little different, try the wildly popular, Hip Hop Nutcracker. This contemporary work punches up Tchaikovsky’s timeless music and also plays the iconic Fox. This hip-hop remix is set in New York City in a 1980’s nightclub. Discover a Sweet Destination: Grove Park Inn Asheville, NC.